All products featured on this post (except Mickey!) were given to me as part of the DisneySide @Home Celebration campaign. Want to join in the celebration? Scroll to the bottom to enter to win a Mickey & Minnie poster! It has been over 2 weeks since I first found out I had been chosen to host a DisneySide @Home celebration, and in that time, social media has been buzzing over all the cool things that Disney and MomSelect had packed up for the party hosts. I always knew I'd be one of the last to receive a box since the box had to travel cross-country to get to me. So I waited as patiently as possible, passing the time by planning my own party, and by oohing and ahhing over all the #DisneySide hosts' photos. When the package finally arrived, I couldn't help grinning like an idiot (and no, I did not stalk the UPS guy or wait on my porch -- I swear it was coincidence that I happened to have my phone to take a photo at the exact same moment the truck arrived!). I already had a pretty good idea of what I'd find inside the box, but that didn't prevent me from being thrilled when we opened the box -- mainly because The Pea, who was at home when the box arrived, had no idea that we'd be receiving anything, let along what was inside. The look of genuine surprise and happiness on her face as she and Mickey Mouse unpacked the box made my day! Here are all the contents of the box, in all their glory! 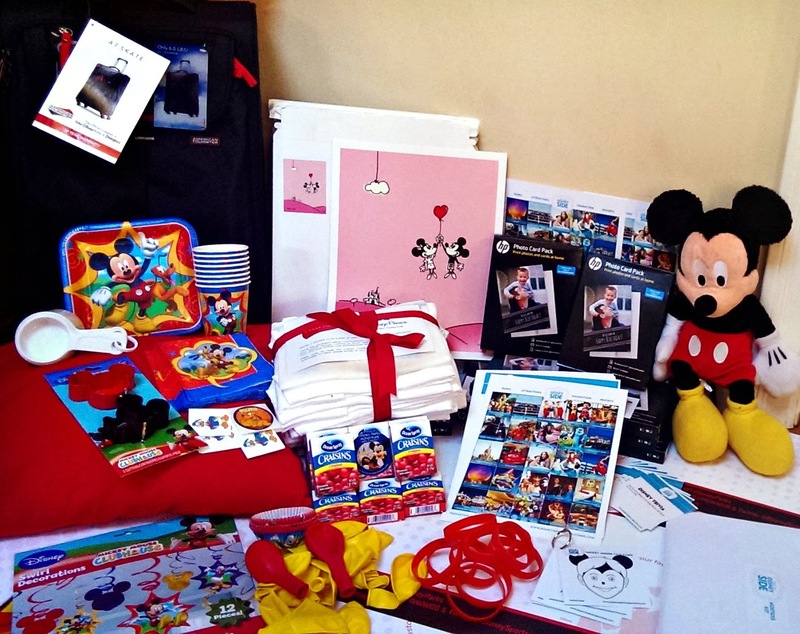 Mickey Mouse was amazed at all the cool stuff they were able to pack into a single box. He's more excited than ever to party! Everything came packed into an American Tourister At Skate roll-on suitcase. 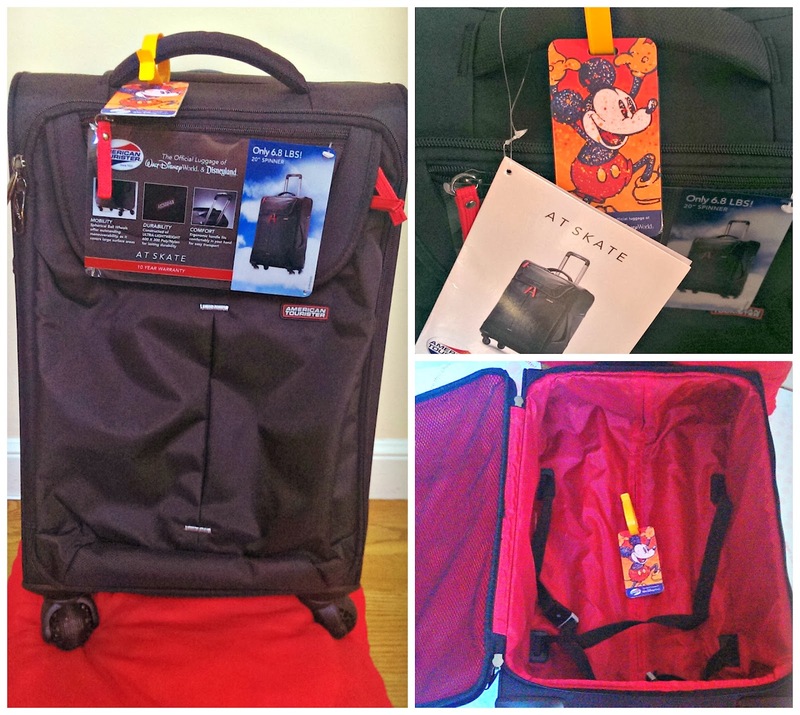 At just 20" long and 6.8 lbs, this is the perfect hand carry luggage -- and since it's black with red lining (Mickey Mouse colors! ), it will be even more perfect for the next time we visit a Disney Park! The box also had an adorable Mickey Mouse luggage tag. Thank you, American Tourister (the official luggage of Walt Disney World and Disneyland), for this amazing hostess gift! 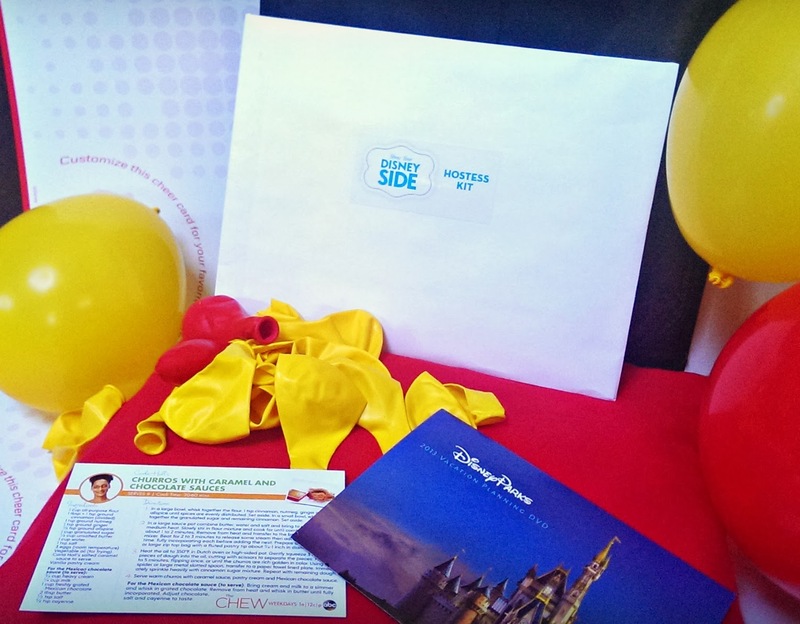 A hostess kit with party ideas, recipes, and a Disney Vacation planning DVD, plus red and yellow balloons. 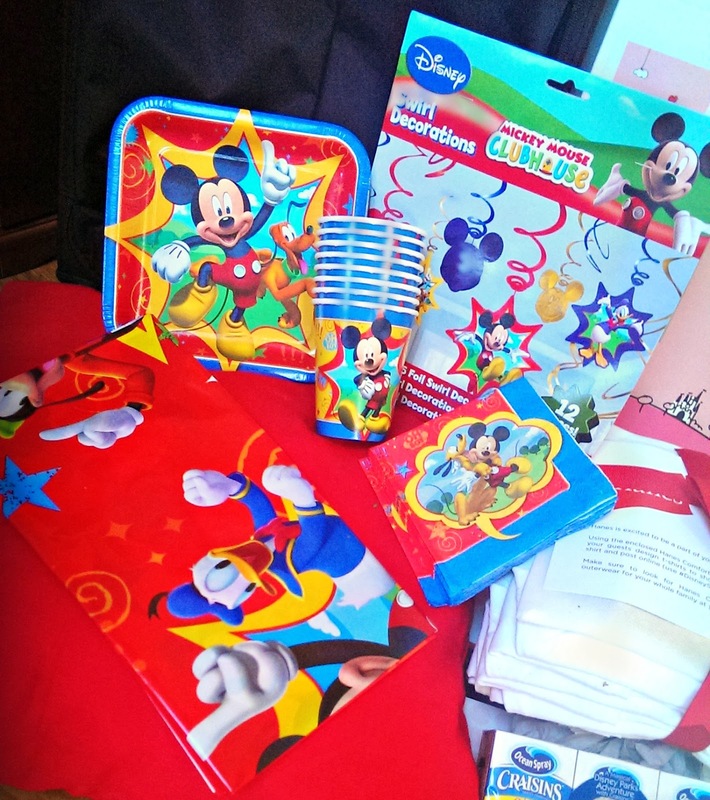 Fun Mickey Mouse Clubhouse partyware: paper plates, paper cups, napkins, hanging decorations, and plastic table cover. 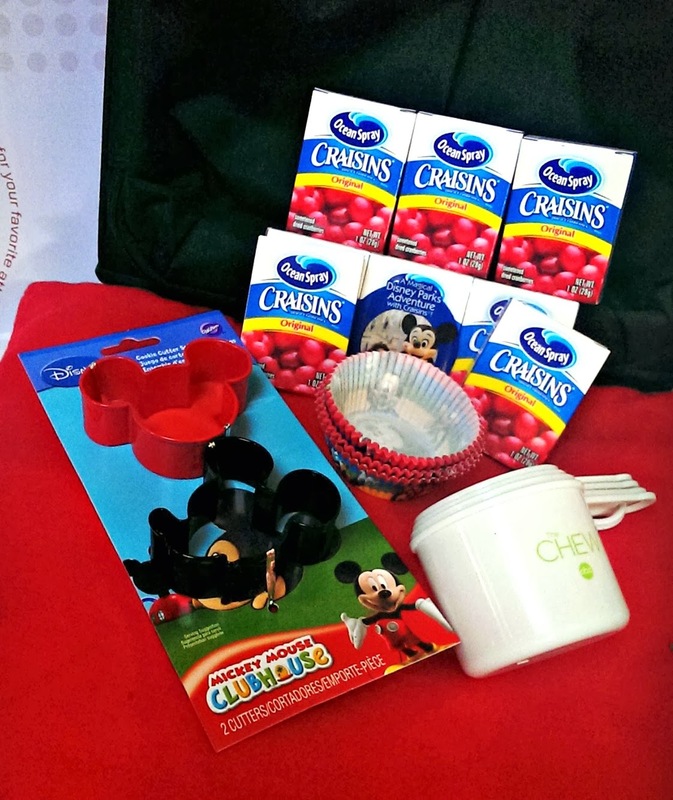 For yummy party treats: Ocean Spray Craisins, measuring cups from The Chew, Mickey Mouse Clubhouse cupcake liners, and Mickey Mouse cookie cutters. I love, love, LOVE the cookie cutters -- I already have a Mickey-shaped cookie cutter, but this new red one is much smaller, so I can make smaller cookies and sandwiches, and the new black one is an adorable Mickey profile! Disney-themed games: Disney Bingo and Disney Trivia. This will go great with the Disney-themed Taboo cards I made! I didn't peek even once at the Disney Trivia questions because we're going to be playing all 3 Disney games at our party. Craft supplies: 10 white t-shirts from Hanes and a pack of Crayola fabric markers. Every DisneySide party host's box was a little different, and I must confess that I was secretly hoping to get these shirts, so I'm thrilled that my wish came true! Time to busy some iron-on transfer paper and polka dot ribbon to make sew-on mini bows! 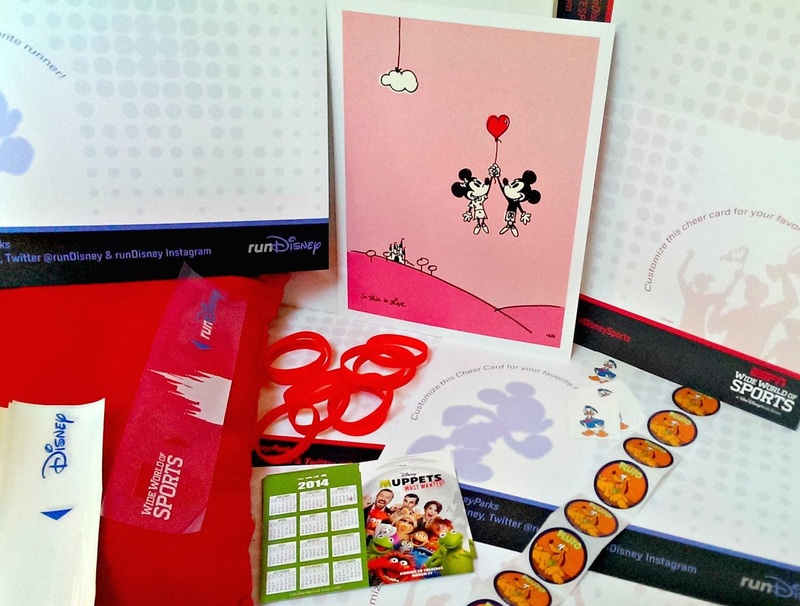 Goodie bag fillers: Muppets calendars, temporary tattoos, stickers, runDisney bracelets, runDisney bumper stickers, runDisney chEAR cards (which could also be used for placemats, decor, or even games), and the most adorable Mickey and Minnie love posters. 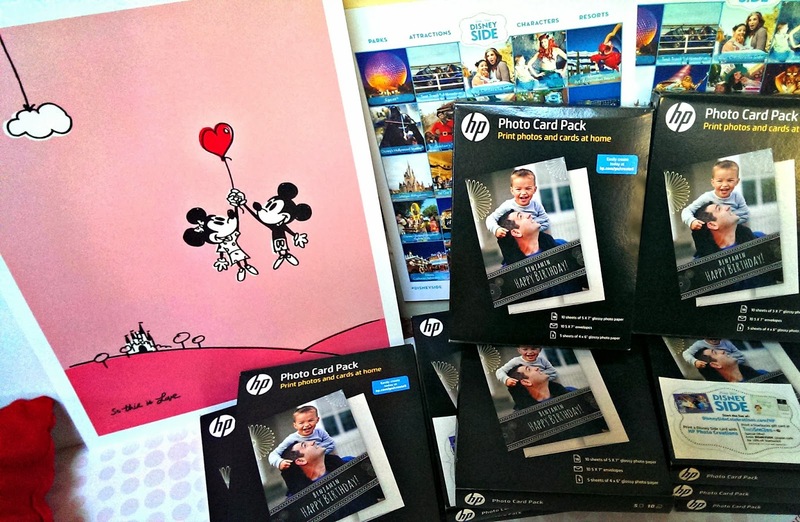 Memory makers: 10 boxes of HP Photo Cards. These can be used for invitations, but I think I'll use them as thank-you cards. I plan to have a Disney-themed photo booth, so I want to print out a photo of each guest posing in the photo booth, and send the photo home with them. How's that for a fun party memory?! It was truly a wonderful surprise, and if I was excited for our DisneySide party, I'm doubly excited now that this party box has arrived. 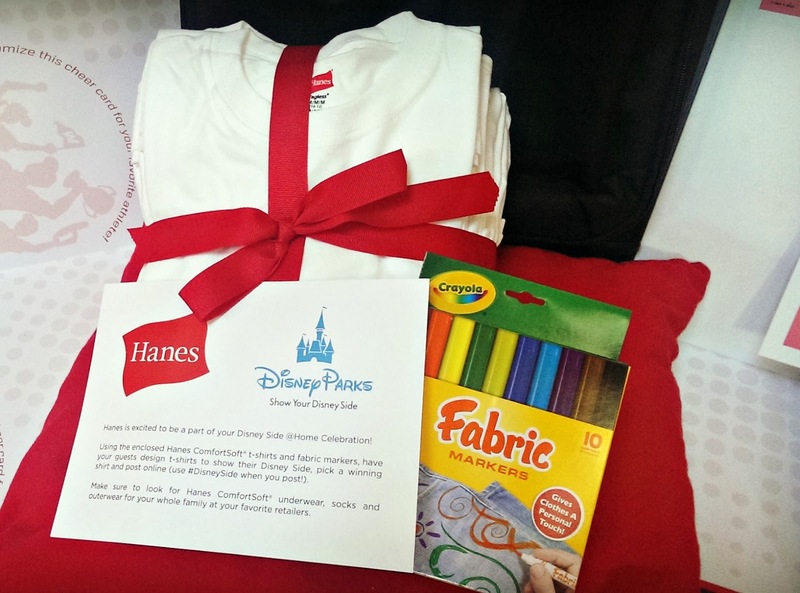 I'm so grateful to MomSelect, Disney, American Tourister, Hanes, HP, The Chew, and Ocean Spray for all these goodies! 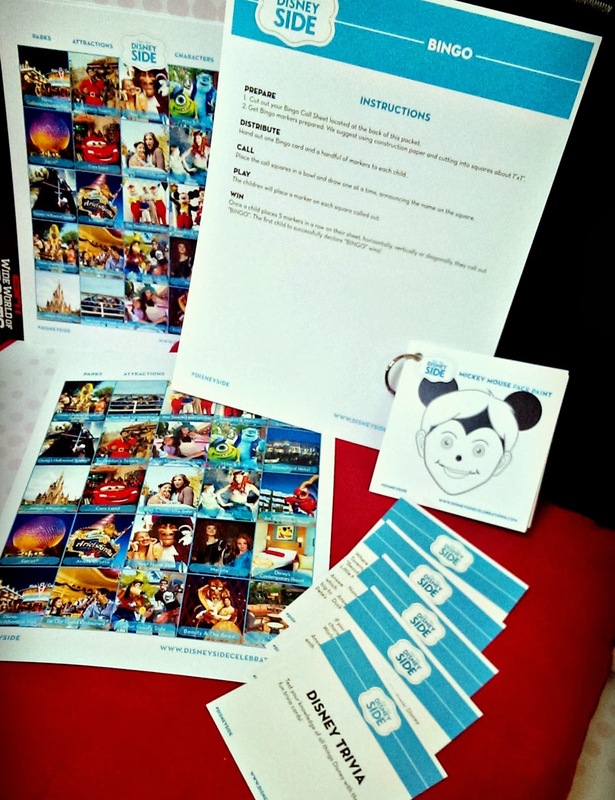 Get ready for a Disney social media bonanza starting February 15, as families across the country (including mine!) will be hosting #DisneySide parties and letting their Disney Side shine. Follow the fun with the #DisneySide hashtag, and get inspiration to host your own DisneySide celebration with recipes, activity kits and tips on www.disneysidecelebrations.com/. How will you celebrate your DisneySide this year? Share your answers with me and you could win a Mickey & Minnie poster! 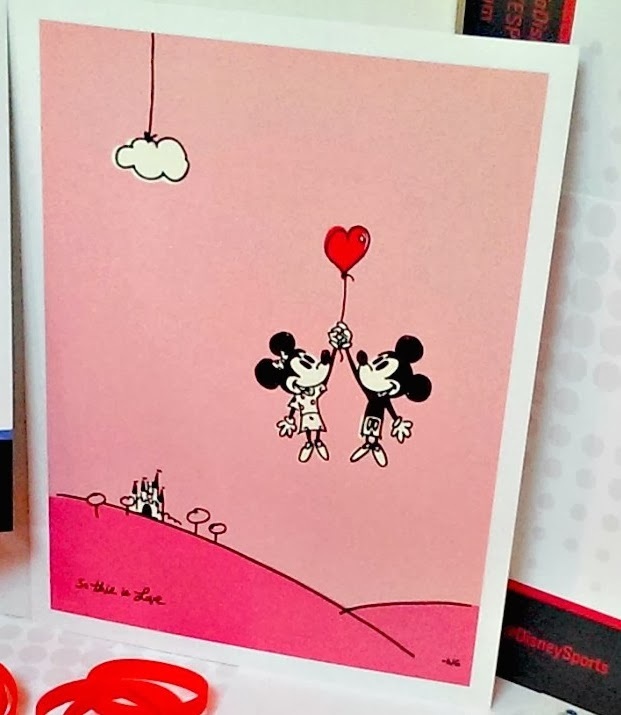 Two lucky Bonggamom Finds readers will each receive an 11"x14" Mickey & Minnie poster. Leave a comment on this post and tell me how you show your Disney Side --OR -- tell me which of the items on this post you would most love to receive. This giveaway ends at 11:59PM PST on Feb 15, 2014; I will draw a winner at random on Feb 16 and post their name after they confirm acceptance. Continental US residents only. For additional giveaway rules, click here. Have you ever had an awkward moment? 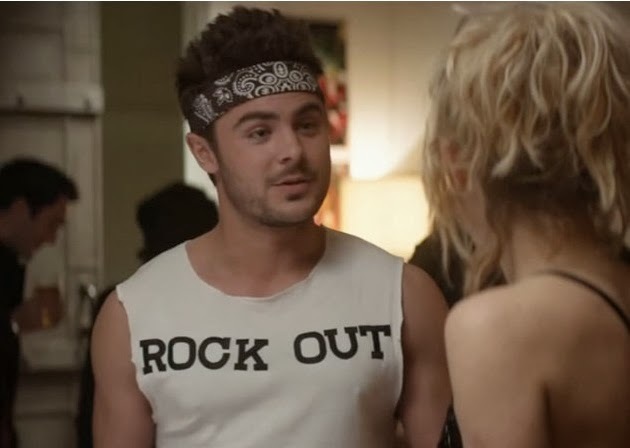 Zac Efron's new movie, That Awkward Moment, is full of them -- and since it's not happening to you or me, I have a feeling it's going to be a funny movie to watch! My favorite one is where Zac's character goes to a costume party wearing a, um, rubber model of a certain part of the male anatomy. Check out his awkward moment at 2:12 into the trailer below! That Awkward Moment opens in theaters tomorrow, January 31. Do you have an awkward moment to share? Two winners will receive a pair of That Awkward Moment gym shorts! Leave a comment on this post and share an awkward moment you've experienced. This giveaway ends at 11:59PM PST on Feb 10, 2014; I will draw a winner at random on Feb 11 and post their name after they confirm acceptance. Continental US residents only. For additional giveaway rules, click here. Disclosure: I received a prize pack as a thank-you for hosting this giveaway, and a second prize pack to give away. The views and opinions expressed here are my own. Disclosure: I received a pair of gym shorts for this post. Giveaway prize was provided by ThinkJam on behalf of That Awkward Moment. The views and opinions expressed here are my own. With Valentine's Day just two weeks away, my thoughts are naturally turning to thoughts of..... food! I love Valentine's sweet treats! The first thing I think of is chocolate, but I have to admit I wouldn't turn down a bag of GH Cretors popcorn! Their cheese popcorn is probably the best flavored popcorn I have ever tasted. I received a sample a few months ago, and I am hooked. They have three varieties: Just The Cheese Corn, Just The Caramel Corn, and Chicago Mix (a blend of the first two). My favorite is definitely the cheese, but the Chicago Mix is pretty good, especially if you love a mix of sweet (reallllly sweet!) and salty. Unfortunately, I've checked the GH Cretor store locator time and time again, and still there are no stores near me that carry it! The closest ones I could find were in the Napa Valley and the East Bay. And they only sell online in cases of 12. Please GH Cretors, send your amazing popcorn my way! Combining cheese corn and caramel corn in the same bag, this popcorn combo offers delicious hits of sweet, salty, crunchy and cheesy in every bite. The caramel corn is made the old fashioned way: by hand, in copper kettles. Cane sugar, brown rice syrup (a non-GMO alternative to corn syrup with a lower glycemic impact) and real butter is heated over a flame and then stirred slowly by hand to develop its rich complex flavor and crunch. For the cheese corn, real cheddar cheese is melted in special kettles and then gently mixed with locally-grown, air-popped corn. The result is a perfect combination of tastes, two-cheese to one-caramel in every bag. 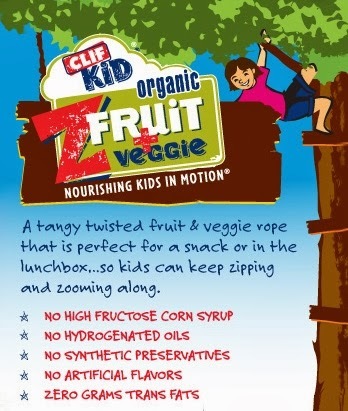 And, this treat is all natural and completely free of GMO’s, artificial colors, flavors, and preservatives! Everyone makes New Year's resolutions, and one of the most common resolutions people make is to lose weight, eat better, or get healthier. Gyms and exercise classes and running trails see a swell in attendance -- but sadly, a lot of this beginning-of-the-year enthusiasm fizzles out, sometimes as early as February! The key is making small, manageable, and sustainable changes. For example, instead of cutting out all refined sugar from your diet, why not focus on eating healthy sweets like fruit, and save the cupcakes for special occasions (and when I say special occasions, I don't mean bi-weekly celebrations!). Fruit is really one of the easiest ways I've found to satisfy my sweet tooth. I love fresh fruit, but it can be a pain to carry around on car trips or to pack in my kids' snacks or lunches. 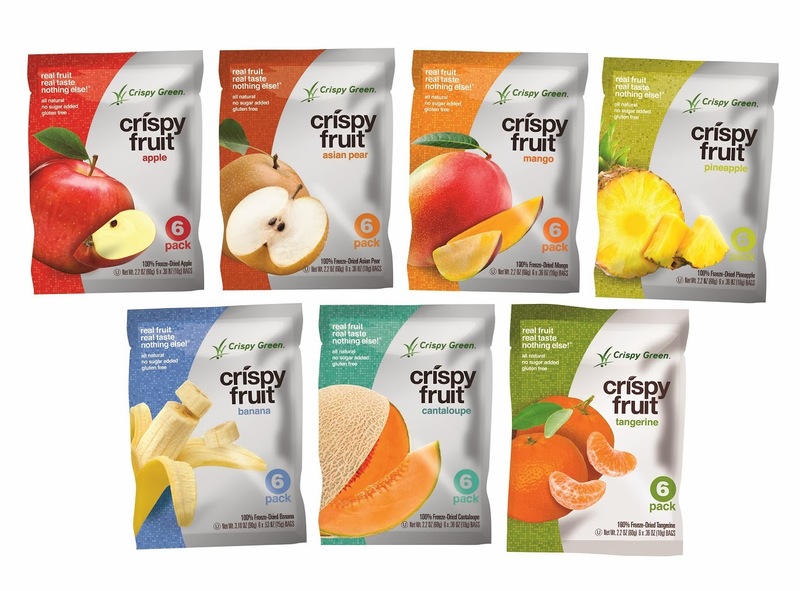 A great alternative is freeze dried fruit like Crispy Green's Crispy Fruit -- it's 100% fruit in a convenient pouch. It's not messy or juicy or sticky. It's just as sweet and delicious as fresh fruit (because it is fruit!). And it has a wonderful crispy crunch that really tricks your mind into thinking you've had junk food! My kids love it, and so do I. I'm particularly impressed with their mango flavor. Being from the Philippines, I'm really picky about the mangoes I eat, and the Crispy Fruit mango is nice and sweet, not sour at all. I'm on the lookout for the Asian Pear variety and the latest one, Tangerine -- and I'm prepared to clean out the shelves when I find them! Disclosure: . I received a product sample to facilitate my review, but have not been paid to review the product or give my opinions. The views and opinions expressed here are my own. Something new is growing at CLIF Kid! 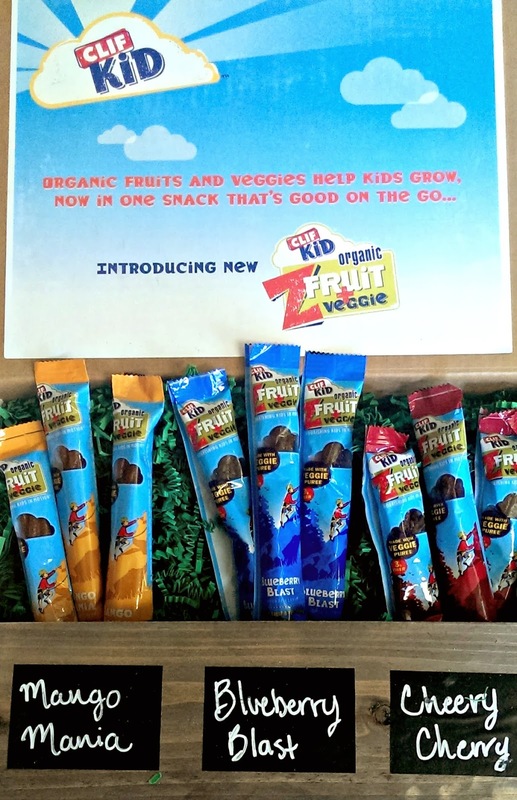 We received samples of their new Z Fruit + Veggie twisted rope snacks. They come in three flavors: Mango Mania, Blueberry Blast, and Cheery Cherry. They taste as delicious as they sound, and they're all natural -- no high fructose corn syrup (not even refined sugar!) and no artificial flavors. They're made with fruit and vegetable purees (carrot and sweet potato, plus the blueberry and cherry flavors also have beets). My favorite is the Mango Mania, although Jammy is torn between Mango Mania and Cheery Cherry. I love it when I don't have to trade nutrition for taste! * Avoid touching doorknobs, stair banisters, railings, poles and other things in public facilities. * If you are coming down with something, try to cough and sneeze into your elbow, not your hands, to help prevent the spread of germs. * If you are coming down with something, get plenty of rest and drink plenty of fluids. Finally, if you start to feel a cough or sore throat coming on, give your throat a break by drinking warm liquids... and stock up on Ricola cough drops! They really do a great job soothing sore throats, and they taste great (no nasty medicine taste! ), so I don't have to force them down my kids' throats. It's amazing how bothersome a sore throat can be... clearing it up can really make the difference between a miserable and a great day, between calling in sick and calling in well! 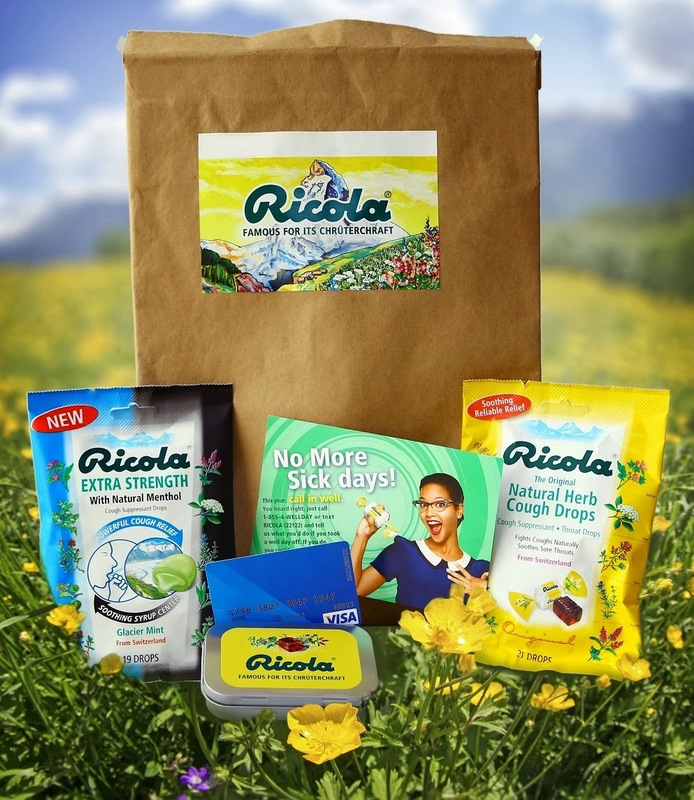 As the cold and flu season hits its peak this month, Ricola ®, the leading manufacturer of soothing herb cough drops from Switzerland, is encouraging consumers to trade in their sick days for well days by inviting them to “Call in Well.” Now through January 31st, consumers can call 1-855-4-WELLDAY or text RICOLA (22122) to share what fun things they’d do if they took a “well day” off. One lucky winner per day will win $500. Visit Ricola’s Facebook page for official rules. Leave a comment on this post and share a tip for surviving the cold and flu season. Growing up is tough. I've been through it once, and that was enough! Getting through 11, 12, and 13 is not an experience that I'm in any hurry to repeat. The Pea is halfway through puberty (she'll be 13 in a couple of months), and even though she knows her dad and I are always there to talk with her about it (and we do! ), I know there are lot of things she'll want to share only with her friends, or things she wants to work through on her own. Even if she's not coming to me for answers, I want to make sure she gets all the right information -- so I'm really glad that the editors of Discovery Girls Magazine have published a new guide to help girls through puberty: The Discovery Girls Guide to Growing Up. 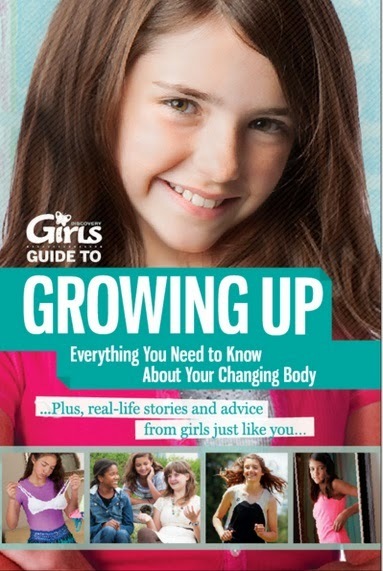 Discovery Girls Guide to Growing Up gives girls reliable facts and helpful tips about what’s going on inside their bodies and what to expect next, all written in a fun and easy-to-understand way. 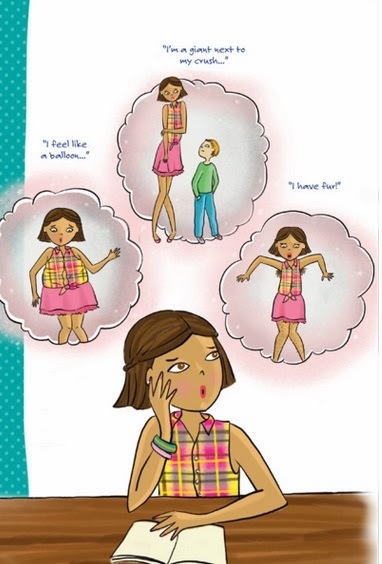 Most puberty books just cover the physical changes, but this one also teaches girls how to handle their emotions, have strong self-esteem, and love their bodies so they’ll be confident, empowered, and ready for all the challenges of puberty. Filled with real stories, interesting statistics, and fun illustrations, Discovery Girls Guide to Growing Up is the perfect gift for every tween girl. 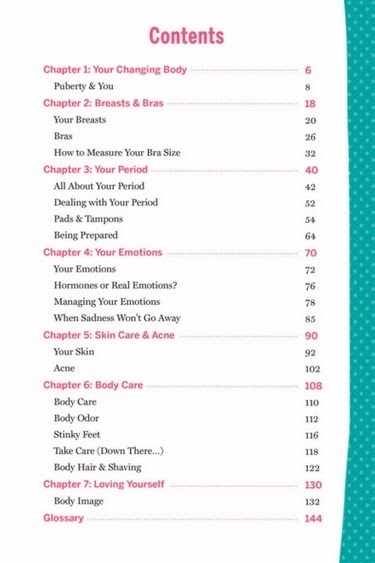 Here's an image of the table of contents of the Discovery Girls Guide to Growing up. The book covers pretty much everything that girls will experience during puberty, from physical changes to mental and emotional changes. The book is written in a style very similar to the Discovery Girls magazine: photos of real girls, cute illustrations, easy-to-read articles, fun quizzes, Q&A sections, with useful tips and interesting facts scattered throughout. Here's a sample of useful tips found in the book. Even I can learn from this book! Being able to read other girls' experiences is great, because it helps girls feel like they're not alone! Getting through puberty is difficult enough! One lucky Bonggamom Finds reader will receive a copy of the Discovery Girls Guide to Growing Up. Leave a comment on this post and share a challenging issue you faced when growing up. This giveaway ends at 11:59PM PST on Feb 6, 2014; I will draw a winner at random on Feb 7and post their name after they confirm acceptance. Continental US residents only. For additional giveaway rules, click here. Disclosure: Thank you to Discovery Girls for providing a copy for review and another copy to give away. The views and opinions expressed here are my own. Did you know that one in four American adults suffers from a diagnosable mental health illness in a given year? That's right, mental illness isn't something that only happens to "other people". The odds are that you know someone who is experiencing mental health challenges -- but due to the stigma surrounding mental illness, that person probably doesn't tell anyone. Even worse, that person may not be seeking help for their condition! Even in this day and age, people who suffer from mental illness are considered "weak" or "soft". People look at them funny, expecting them to do weird or crazy things. Kids make fun of them, growunups avoid them. I remember spending summer vacations in my dad's hometown and spying on the neighborhood "crazies". Looking back, I'm sure two poor women we made fun of suffered from some type of mental illness. We were kids, and we didn't know any better. Now I do know better, and I always tell my kids to act with compassion, because you don't know what you would do if you were in their place. · Nearly one-third (31-32%) of California’s 9th and 11th grade public school students reported extended feelings of sadness/hopelessness in the last year. Among younger students, more than one in four (28%) 7th graders reported such feelings. · But, an average of 6 to 8 years pass after the onset of mood disorder symptoms – 9 to 23 years for anxiety disorder symptoms – before young people get help. Latino Family Forums: Hosting forums across the state, Citizen Relations has gained deeper understanding on how Latinos view issues related to mental illness. The insights obtained from these forums will be used to engage and inform Latino families with young children about mental health and the dangers of stigma. · ReachOut.com: An online resource for information and conversation among young people who are struggling with mental health challenges, or who want to help. · WalkInOurShoes.org: An interactive website featuring real-life narratives from California teens. It includes a place for teens to design a virtual shoe that portrays and communicates each teen’s unique perspective, thoughts and feelings. Finally, it all begins with you! 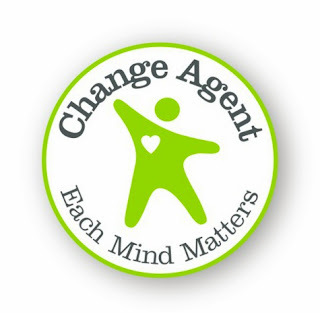 The only way to end the stigma surrounding mental illness, is for individuals change their mindsets and make a stand. To start, you can Join the Movement, take the Each Mind Matters pledge and learn ways you can support people with mental health challenges. Disclosure: I participated in a campaign on behalf of Mom Central Consulting for the California Mental Health Services Authority. I received a promotional item as a thank you for participating. Information (in italics) was provided by the California Mental Health Services Authority, via Mom Central. The views and opinions expressed here are my own. The views and opinions expressed here are my own. Peanut butter is a staple in our house! My kids never tire of having peanut butter in their lunches-- in the form of peanut butter and jelly sandwiches, peanut butter and chocolate spread rolls, peanut butter and banana burritos, to name a few. Peanut butter is also great to use in Asian salads and stir frys. Finally, we like to snack on peanut butter straight out of the jar! Peanut butter is so healthy, as long as you don't buy the kind with lots of additives like sugar and hydrogenated fats. Plain, natural peanut butter with nothing but peanuts and salt is the best -- like the kind made by Smucker's Natural, Laura Scudder's, and Adams. You really get to taste the peanuts, and you can always add fruit or honey if you like it sweet! Smucker's, Laura Scudder's, and Adams are committed to nature in more ways than just making natural peanut butter. 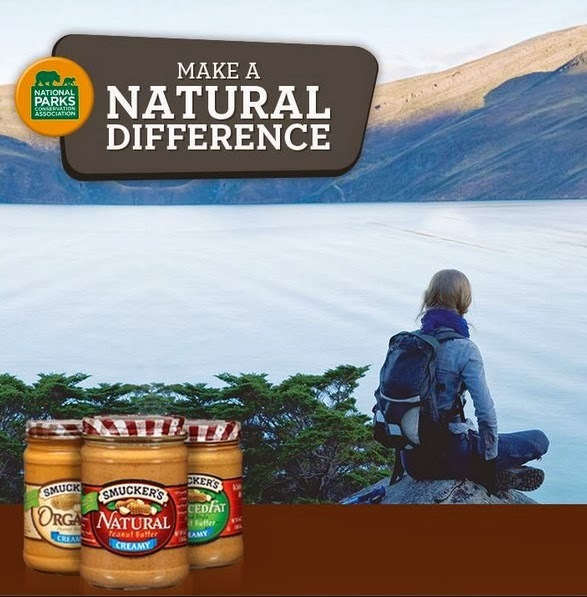 This January, Smucker’s, Laura Scudder's and Adams Natural Peanut Butter have teamed up to support the national parks through a $100,000 donation to the National Parks Conservation Association's (NPCA) America's Great Waters Program. Starting in January, look for the .25 cent-off coupons on shelves in your local stores towards the purchase of a jar of natural peanut butter. For every coupon redeemed by March 24, 2014, Smucker’s will donate $1 to the NPCA, up to an additional $50,000. Disclosure: I participated in a campaign on behalf of Mom Central Consulting (#MC) for Smucker’s. I received a promotional item as a thank you for participating. I. The views and opinions expressed here are my own. 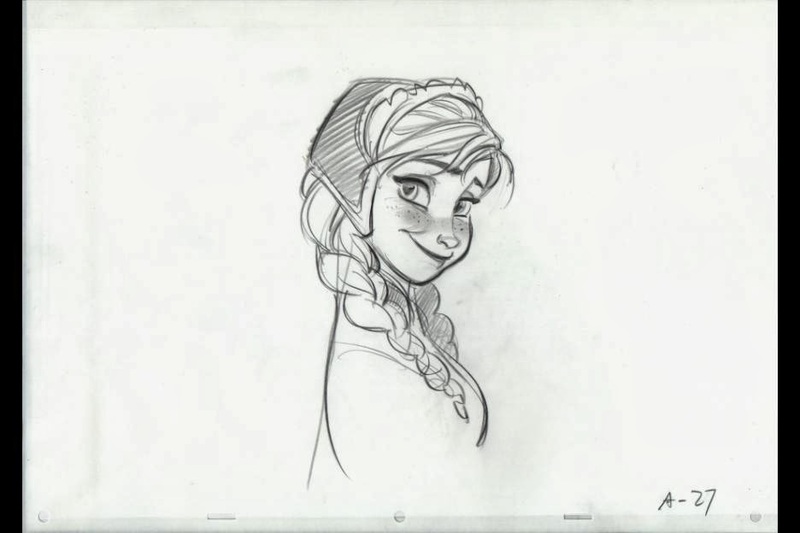 Have you seen this #DisneySide commercial? It's hilarious! I'm loving all the ways that people are showing their Disney Sides, but this is definitely my favorite, because it shows a ordinary dad showing his Disney Side in an ordinary DIY store. Although Disneyland and Walt Disney World are the best places to show your Disney Side, unfortunately it's not always possible to enjoy time there. Much as we would like to, we can't spend every day in a Disney park, so we have to bring the Disney magic home with us and keep it alive until the next time we visit! One of the easiest ways to keep the magic alive at home is to dress the part! Disney merchandise is everywhere, and you can get Disney-themed apparel at practically any retailer in town. Even Alfie, who doesn't normally wear Disney tees even inside the park, loves wearing the Jack Skellington tee I gave him last year. If Disney apparel isn't your style, sprinkle some pixie dust on your accessories. Seeing Minnie Mouse on my phone every time I pick it up always makes me smile. Do you find yourself craving Disney park treats? Make them at home! Mickey pancakes, Mickey cookies, Mickey beignets, churros, turkey legs, corn dogs -- even my all-time favorite Dole Pineapple Whip -- can all be enjoyed at home. The taste might not be exactly the same as the real thing, but they're close enough to bring back those magical memories. Disney adds heaps of pixie dust to their stage shows, so they are a cut above the rest, just like everything they do! 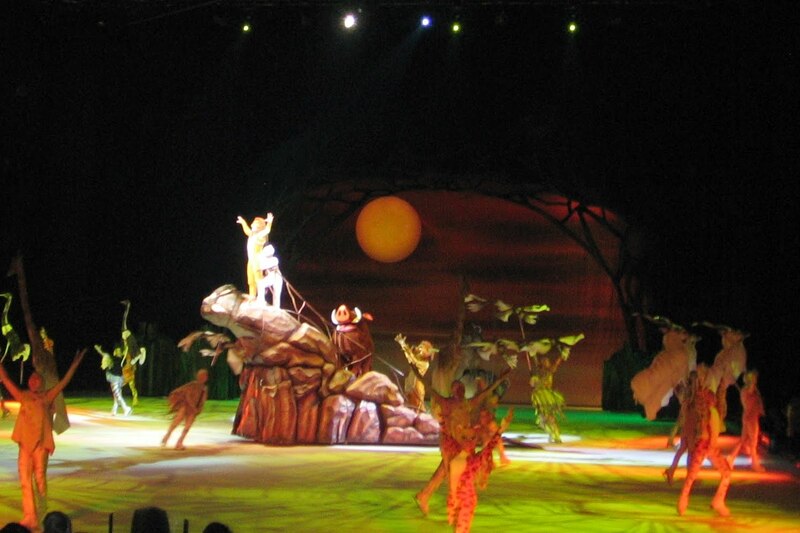 Current Disney Broadway productions include The Lion King, Newsies and Aladdin. I had the pleasure of watching Beauty and the Beast on Broadway many years ago, and again in San Francisco a few years ago, and it is one of the most entertaining productions around. The Lion King remains on my bucket list, and now that Frozen is going to Broadway, I've got another show to watch :) If you don't live near a city with a Disney theatrical production, never fear. Disney has some great live touring shows: Disney Live, Disney Live Jr, and Disney on Ice! These productions tour all over the country, and they feature amazing singers, dancers and special effects. We watch Disney on Ice practically every time it comes into town! Last week I listed all the movies I want to see in theatres this year, and a quarter of them were Disney moveis! 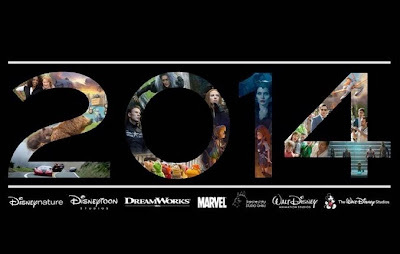 Disney theatrical releases in 2014 include: Muppets Most Wanted, Captain America: Winter Soldier, Bears, Million Dollar Arm, Maleficent, Planes: Fire and Rescue, Guardians of the Galaxy and Into the Woods. You don't have to pay theme park prices to get your fill of Disney memorabilia. There are several Disney museums scattered across the country, and if you're lucky enough to live near them (or are planning a trip nearby), they're definitely worth a visit. * The Walt Disney Family Museum in San Francisco, CA celebrates the life and legacy of Walt Disney. * The Walt Disney Hometown Museum is located in Walt's hometown of Marceline, Missouri. The museum contains letters, family artifacts, and other memorabilia. * There's talk of Walt Disney's birth home in Chicago, IL being turned into a museum. Right now it's privately owned, so you can't enter, but you can still drive by 2156 N. Tripp Avenue to pay homage to Walt's birthplace. * Chicago's Museum of Science and Industry is currently running a special exhibition featuring over 300 artifacts owned by the Walt Disney Company. Treasures of the Walt Disney Archives, presented by D23: The Official Disney Fan Club runs at the museum until May 2014. * Walt Disney Concert Hall doesn't have any Disney memorabilia that I'm aware of (I could be wrong: I haven't visited the place myself), but the place is gorgeous, one of the few examples of modern architecture that I really admire (and I do speak from personal experience: I've seen the outside of the building!). The hall offers free self-guided and guided audio tours which I'd love to do someday. Hunting for Hidden Mickeys is a popular park activity... but Hidden Mickeys are all around, even outside the parks! A drop of juice, a strangely-shaped cheese puff, a dalmatian's spot, a puffy cloud, a bowl of Cheerios cereal.... almost anything can hide a Hidden Mickey! It's surprising how many you can find if you keep your eyes open. 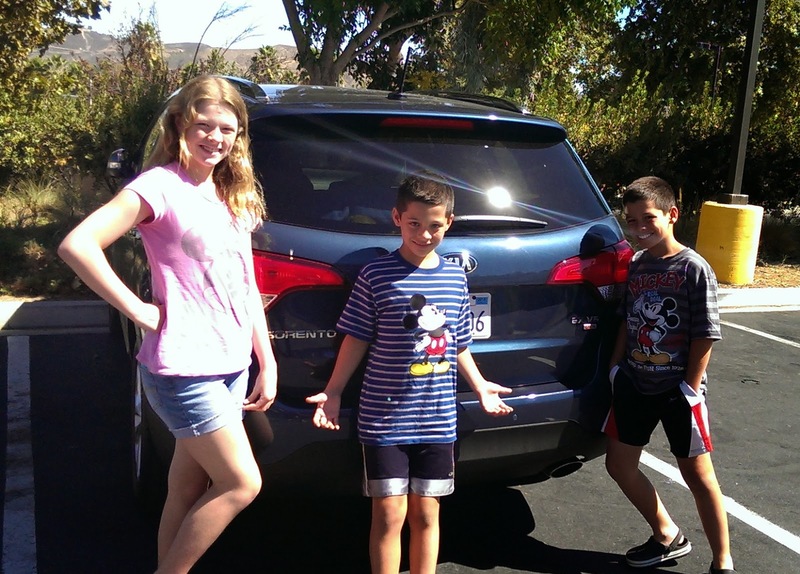 Hidden Mickey Hunting is a game you and your family can play anywhere, anytime. Every day is a celebration at a Disney park, so why not throw a Disney party at home? Any occasion is a great opportunity to celebrate your Disney Side: a birthday party, a graduation party, a baby shower, a Halloween party, a Valentine's party, anything! You don't even need an occasion to throw a Disney movie marathon session, a Disney-themed game night, or a Disney-themed playdate. Whether it's family members only or the whole neighborhood is invited, throwing in Mickey, Minnie, a Disney Princess, Buzz Lightyear, Lightning McQueen, Jake and the Neverland Pirates, or any Disney character is sure to make the event magical! To celebrate their Disney Side, families across the country will be hosting #DisneySide parties and letting their Disney Side shine! Every celebration will be unique, and every celebration will be special. I'm excited to have been chosen as one of the hosts, and starting February 15, we'll be documenting our celebrations on our blogs and on social media. Follow the fun with the #DisneySide hashtag, and get inspiration to host your own DisneySide celebration with recipes, activity kits and tips on www.disneysidecelebrations.com/. How will you celebrate your DisneySide this year? Disclosure: I did not receive a sample or monetary compensation for this post. 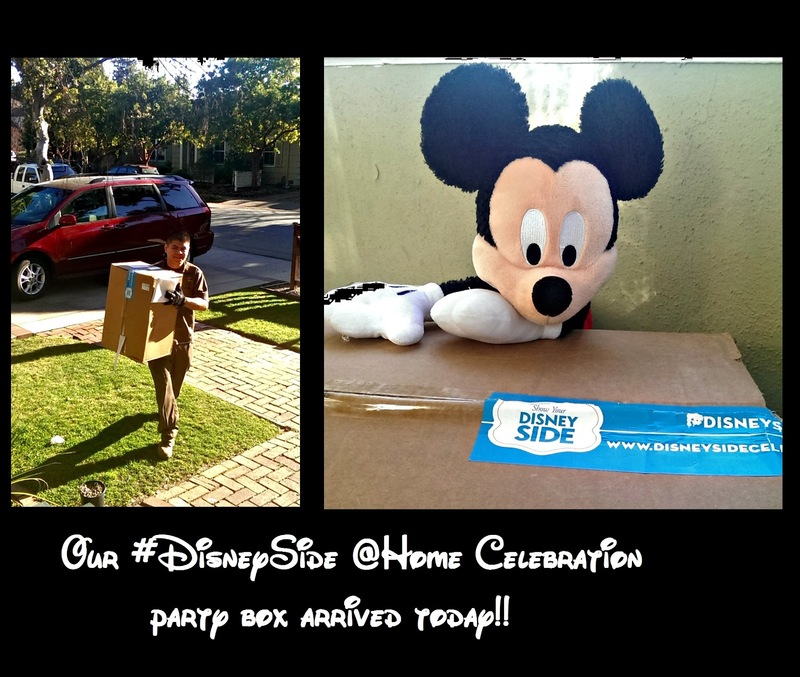 I will be hosting a #DisneySide @Home celebration featuring party favors and accessories provided by Disney and MomSelect. The views and opinions expressed here are my own.